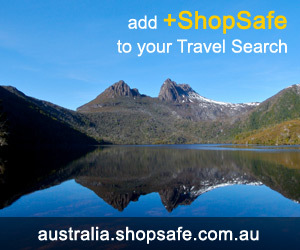 There are 66 shops in the ShopSafe USA Software Online Shopping Category. AVG is a leading international developer of Internet threat protection solutions for consumers, SMBs and small enterprises. AVG protects what`s important and personal inside computers - music, photos, documents and more, all while allowing users to bank, shop and safely knowing their identity is safe. Adobe offers a huge range of software solutions that empower millions of designers, developers and business users to create and deliver effective user experiences on the Internet, fixed media, and wireless and digital devices. SugarSync isnâ€™t merely a back-up solution; you can sync all your files such as Microsoft Office documents, photos, music, and media to all your computers and web-enabled mobile phones, instantly. Store and back-up your files in our secure servers and access them from any web browser, anywhere, anytime. Share files with your friends, family, and colleagues. You can even stream music live! Huge selection of fonts for preview, purchase and immediate download. You'll also find the latest typographic news, tips, and typeface releases. Software that allows you to work on your office PC from the comfort your own home or anywhere that has internet access. Access files, programs, email and network resource through a secure remote access your PC from Web browser or wireless device. For home and business use ESET is a proactive, precise, lightweight and fast solution. AV-Comparatives named ESET the "Best Antivirus Product" the last two years - clearly ranking higher in detection, size and speed when compared to its competitors. Shop for photo and picture editing programs, word processing programs, DVD/video playback and editing software. Visit the Corel Community section where you can interact and share ideas - learn from other users, discover what community members create and fuel their inspiration. Acronis offers security software packages online. The packages help to protect you from accidental data loss, get better performance from your PC and provide you with security while surfing the net. Avanquest Software is a global developer of consumer and small business software. Shop for WebEasy Professional, SystemSuite, Fix-it Utilities, Hallmark Card Studio and PowerDesk, PC Security and Diagnostics, Anti Virus/Anti Spyware, Small Business Productivity, Mobility, Web Authoring/Design, Education, Reference, Digital Media and more! Shop online for the Roxio range of digital media software for your computer - Creator 2009, Easy Media Creator 10, Toast 9 Titanium, MyDVD 10 Premier, RecordNow 10 Music Lab Premier, Popcorn 3, CinePlayer Surround, and more! Roxio is constantly releasing new products so be sure to check them out. Trend Micro Internet Security - software to protect your computers, home network, files and personal identity from viruses, spyware, hackers, spam and other unauthorized users. Suitable for home users and Small businesses with multiple PCs - backup software for your files, photos, email documents, and music. Restoring lost files takes just a few clicks - Receive priority support via phone, chat and email. Carbonite offers a risk-free trial so users can see how simple it is to securely back up their photos, emails, music, financial records and other important documents. Linens - Bath - Home Source - Microcotton Solid Color Luxury Bath Towels- 24 Colors!